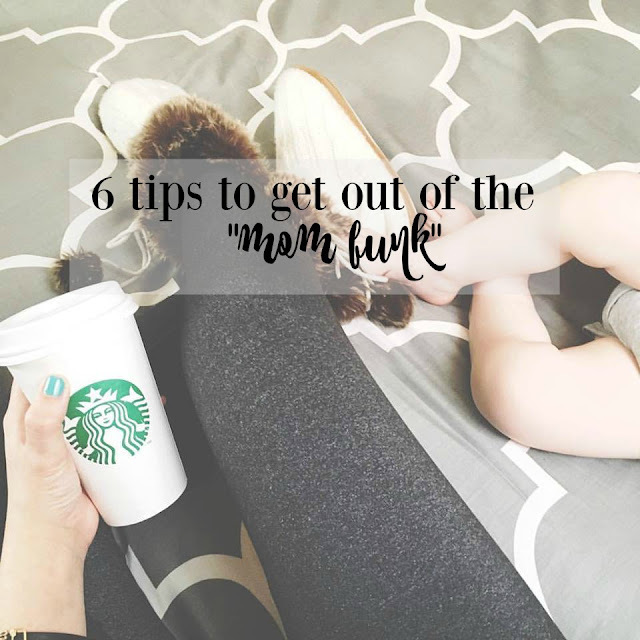 Wifestyles Blog & Photography: Get Out Of The "Mom Funk"
Get Out Of The "Mom Funk"
Let's face it, being a mama is not for the faint-of-heart. Being a mother is the hardest job there is, hands down. Our "shift" never ends, our minds never shut off, and our hearts are no longer just our own. We have tiny humans to take care of. Seriously just think of the pressure! Our job as mothers is to raise our children to be Godly, respectful, intelligent, working members of society. If we fail we're not just failing ourselves we're failing our children too. Sometimes mommy-hood gets hard. I don't know about you guys but sometimes I can't even remember the last thing I did by myself. We are a co-sleeping, co-showering, co-EVERYTHING in this household and I love it more than anything but sometimes I just need a second of my own. We all have our bad, selfish and angry days where we think, am I even doing this thing right? After Liam was born I got in what I like to call a "mom funk!" I was tired, grumpy, hormonal and somewhat selfish. I felt like every second of "free time" I would get was earned and I should spend it however I pleased. I let my household duties fall behind, I spent entirely too much time glued to my phone or a reality TV show, I gained weight and I was just completely unhappy with myself. I would take out the majority of my anger on my husband and tell him constantly that he just didn't understand. I shut him out and basically shut out the world for a short period of time. I felt alone no matter what. There are still days when I struggle which I think is only human. Today I wanted to share with you guys some of the things that helped me get out of my mama funk! 1) Pray. We can't do this thing on our own. We need the good Lord's help and guidance. God is what gets me through the hardest days. He shows me patience and love and lets me know that I'm not in this thing alone. He always reassures me that I'm doing the best that I can for our son. 2) Stop procrastinating. I can't preach this one enough! I have always been a horrible procrastinator. I dwell on things that need to get done. Now instead of dwelling, and putting them off for tomorrow, I do whatever needs to be done the second I think of it. There is truly no reason to put something off when you can accomplish it right then. Honestly the feeling of accomplishment is such a great feeling. I can enjoy my "me" time SO much more if I know all my household chores are done for the day. 3) Exercise. I'm not talking a full body workout, just take a few minutes to dance, go for a walk, yoga etc.! You can even include your babes! Liam and I have dance parties all the time which is fun for both of us and gets my blood flowing and gives me a boost of energy! 4) Eat better. This is something I'm still working on personally but I notice every time I eat healthy I feel better and have more energy! This one is pretty self explanatory and proven to help you in every aspect of your life! 5) Get out of the house. I can't tell you how important getting out of the house is for my sanity! If Liam and I are in our house longer than 24hrs we go stir-crazy! It can be a quick drive to grab coffee, a trip to the mall or Target, a play date, lunch date... ANYTHING! Just get out! You will feel so much better trust me! 6) Get ready. Take 15-20 mins for yourself! Get out of those PJs, shower, and put a little makeup on! Getting ready every single day at least makes me feel like a normal human. It's a confidence booster and makes you feel presentable. These are all spot on! Love this - who knew getting ready could help but it really does boost your confidence!